Everybody needs hangers and umbrella stands on these nasty days. 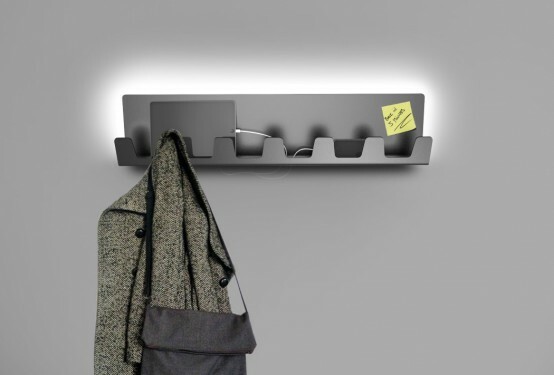 Coat hangers have the aptitude of being so much more than a hook shaped piece of metal. 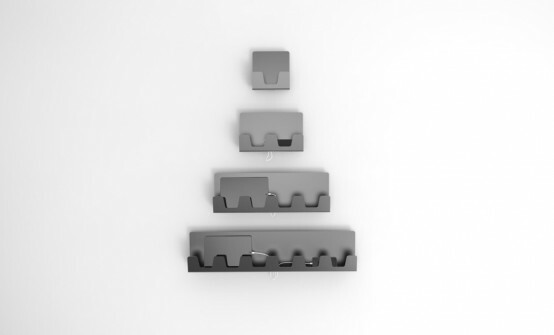 The Hanna hanger lifts the bar with its multipurpose yet minimal design. Not just another wall accessory, this sleek little baby also doubles up as an ambient light and (wait for it) a phone/gadget charger! 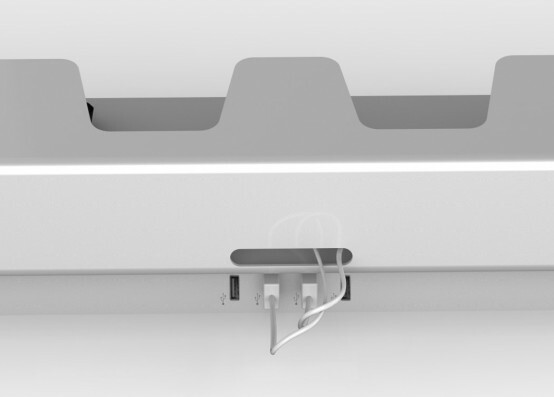 Just pop your gizmo on the hanger (it acts as a shelf too) and route your cables to the hanger’s underside where you’ll see USB ports waiting to juice up your technology. 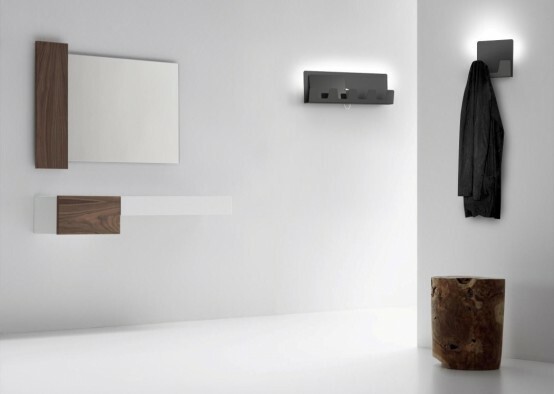 This is a cool idea for any modern hallway, minimalist and functional!